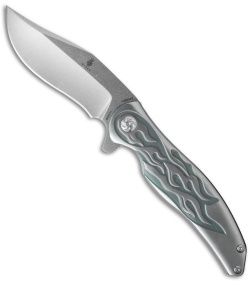 The Kizer Compadre offers a collaborative design from custom knifemaker Matt Cucchiara and Kizer Knives. 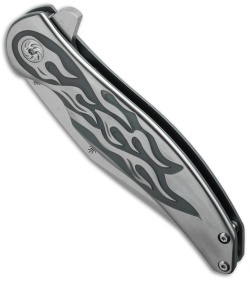 It has a streamlined handle that remains lightweight and comfortable to use despite the larger size of this knife. The titanium handle comes with a matte silver finish and machined flame engraving that gives off a unique and collectible appearance. It comes equipped with a clip point blade made from CPM-S35VN steel in a stonewash finish. 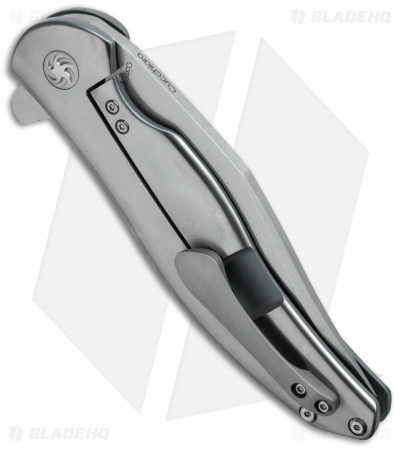 A titanium pocket clip is included for tip-up, right handed carry. The Kizer Compadre offers a custom Cucchiara design produced with the quality materials and attention to detail Kizer is known for.